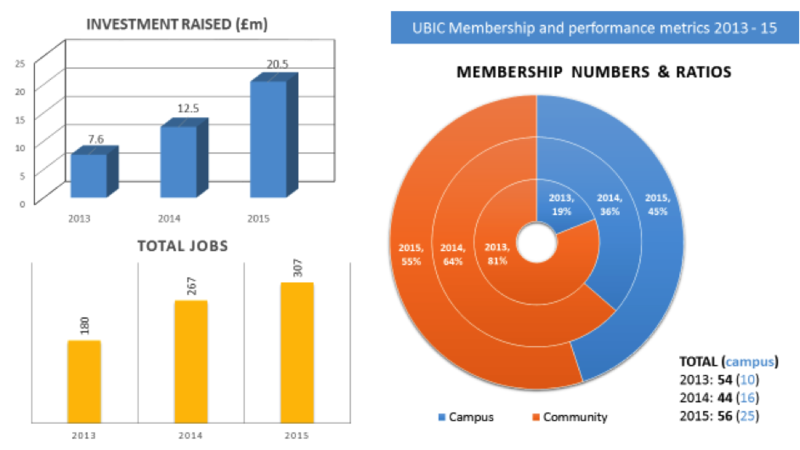 2015 was another great year for enterprise at the University of Bath Innovation Centre (UBIC) where member start-up and high growth tech companies have raised over £20.5 million in investment; a marked increase from the £12.6 m that was raised in 2014. The Innovation Centre is part of SETsquared, the enterprise partnership of the universities of Bath, Bristol, Exeter, Southampton and Surrey, which was recently recognised as the best performing university business incubator in the world. Since its inception 11 years ago SETsquared has worked with more than 1,000 high-tech start-ups that have raised over £1bn in investment. Successful companies who have been supported by the Bath SETsquared at the Innovation Centre in the last year include Zynstra, Green Running, Memberoo, Industrial Phycology, Smart Antennae, Move GB and many others, all raising significant investment and creating jobs and wealth for the city region.